i found this photo the other day and it kind of took my breath away for a moment. it's the perfect inspiration image for the season – leather jackets and denim and chambray and ankle boots are all i want to wear this spring. shop: calling all francophile cowgirls! wearing my A.P.C.s and IM boots nearly every day right now – really the perfect transitional season shoes, third year running. watch: currently toggling between the new season of Mad Men and my favorite foreign find, the Wallander mystery/thriller series. Kurt Wallander is definitely my new favorite fictional character. anyone who can hunt down bad guys while effortlessly sporting chic Barbour coats and structured jackets of all kinds is a keeper in my book. 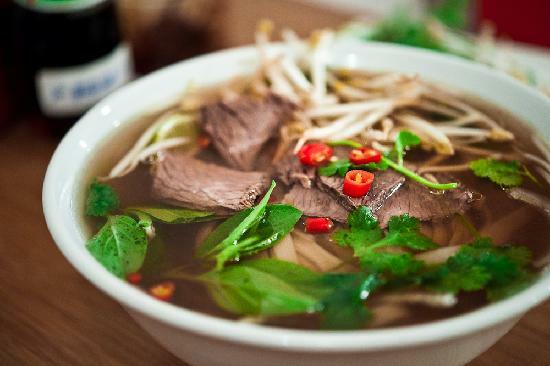 eat: i've been dreaming of pho ever since the weather has warmed up. off to grab a nice big bowl or two this weekend! most inspiring things, from a few weeks ago, jay z on SNL (all black 3 piece suit and gold chains), and lady sitting next to me earlier today in a fabulous caftan. not inspiring me: crappy ebay seller that fell off the face of the earth. i can get my money back no problem but darn it I really wanted what they were selling. sorry venting! that soup looks good and the sky looks beautiful in that cowboy picture. oy, sorry about your bad ebay seller. hope that gets resolved soon! I really need to get back into reading National Geographics. My father used to get me a subscription every year and it wasn't until much later that I really appreciated it! Inspiring me right now? Fresh asian cuisine (homemade brown rice sushi and rice paper rolls.. yum) and tonnes of reading. Ah, I really need to get around to watching the Swedish version of Wallander! I've only seen the British version, which I chanced upon during my flight from Dubai to London and subsequently downloaded all the episodes. Wasn't a huge fan of the original Henning Mankell books though (although I should probably read a couple more and give the series another chance). i like the longer episodes in the Swedish series, feels more substantial, like a series of mini-films. 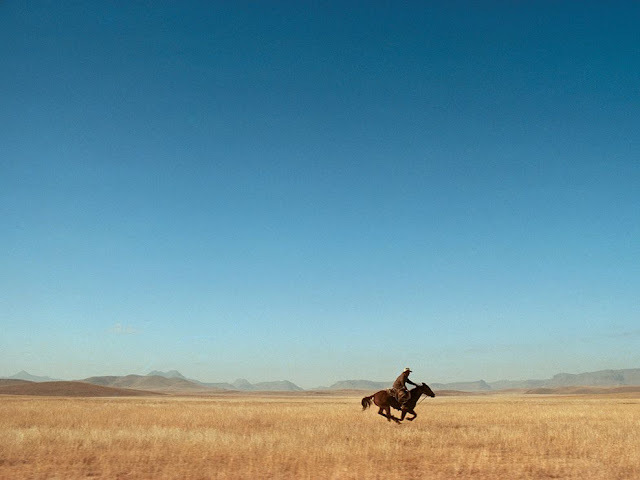 The cowboy shot is indeed breathtaking. He's a bit out of time and space for a city girl like me. Regarding food, after a winter of bibimbap, I'm craving feta, ceasar salads and red berries cheesecake. Never watched Wallander so thanks for the tip, I'll get to it after finishing my current tv catalogue. So sad that The Good Wife's season ends this sunday!! Aissa -red berries cheesecake sounds heavenly. i need to rein in my sweet tooth though! Love the photo, love the boots! I'd order them but after getting my black booties this winter I think I need to hold off a bit on another pair. Still, even just seeing pictures of them like that makes me super happy. I think I secretly want to be a cowgirl too ;) Also love Wallander, but it is a bit of a downer, don't you think? So much brooding and nordic angst. Still, I love a good foreign cop show. haha, i am all about dark brooding dramas/thrillers. Sweden definitely leads in this category. I LOVED the BBC version of Wallander (with Kenneth Branagh and Tom Hiddleston) and was really sad that there weren't more episodes. I'll definitely check out the original version! i love the originals. totally a fan of the original BBC House of Cards too. I love those boots. I wore nubuck ankle boots all winter but I want to see if they stick around for another year before investing in APC. I'm seriously inspired by Nashville on TV (love country music), my little newly-growing vegetable garden and salad. Loads of fresh salad. Argh, I do not need more TV recommendations! Been watching the Danish version of The Killing (Forbrydelsen) and it is terrific - slower pace and more character development. I like the cowboy imagery - feels very fresh! I'm considering getting my chukka boots made to order later this year with a local shoemaker, but haven't quite committed. I enjoy the process of thinking about exactly how I want it though! your bespoke boots sounds like such a fun project. i wish that was a real option here! Yet to find cowboy boots I like, darn it! Boots are my fave shoe and every single category of style is so hard to master- the bootie, rainboot, equestrian, etc. Ah well. Love yours. And need some pho myself too! thanks Letitia! 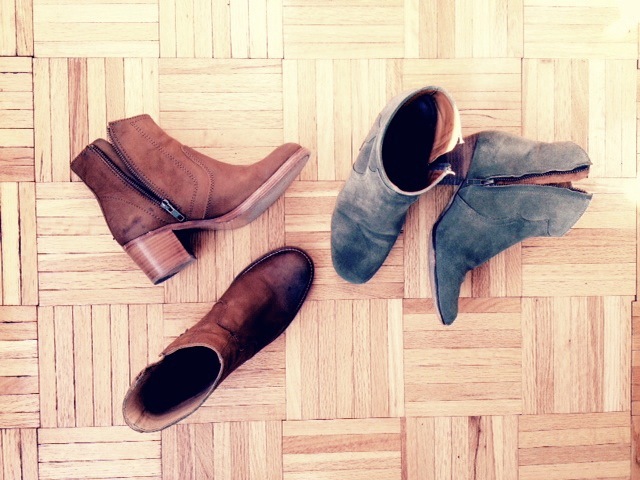 don't know what i'd do without my boots - they're the cornerstones of my wardrobe!